Since its introduction back in 2009, the angular framework has not only gained acceptance in the web development industry but, has, in fact, become one of the most popular software development tools. You may attribute its popularity to Google’s support of Angular, but, engineers would not have fallen in love with it if it were not such a versatile tool. However, as versatile as Angular is, it is also a complex open-source platform that requires a steep learning curve. Because of this most companies are resorting to hiring angular development teams, rather than trying to find the necessary talent themselves. Simply put, building modern front-end web-interfaces and applications, requires specialized skill sets and advanced next-generation web and mobile engineering capabilities. This makes assembling an in-house angular development team difficult and costly. Why Is Angular Team Augmentation the Right Way to Go? There are many benefits to the staff augmentation model, but, these benefits are only obtained when you work with experienced angular team augmentation companies. As we mentioned, the platform is versatile and sophisticated, which means not every developer has mastered it. There are many instances when a specific skill set is required to complete a project. Angular team augmentation is perfect for these instances, you can rely on the expertise of project managers, designers, front-end full stack developers, quality assurance analysts, and more. In web-development there will always be unforeseen circumstances, requirements change, deadlines get pushed ahead, you lose a member of your in-house team, etc. In these cases, angular team augmentation services can help alleviate the stress and keep your project on track. By adding skilled team members to your project rather than outsourcing part of it, companies can retain full control of their projects. People with specialized skill sets especially those in high-tech fields, are not cheap. And when your project only requires that skill set for a limited time, then the cost-benefit aspect just doesn’t add up. Staff augmentation companies provide the necessary skill sets you need at a much lower cost. When your project is pressed for time, the more people you have working on it, the faster it will be completed. 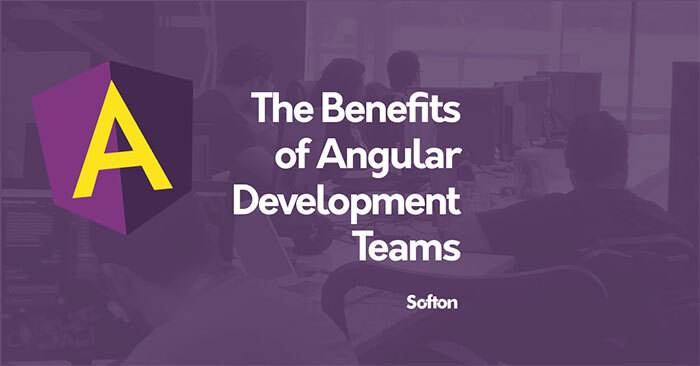 By enlisting the help of an angular team augmentation service, you can achieve a faster turnaround of your development projects. You can add or remove an angular team with little or no impact on your core business. In-house employees do not feel threatened by the angular staff augmentation team because they know they are only there to help complete the task at hand. This improves communication and creates a better work environment. Angular team augmentation is an ideal fit for small and medium-size companies who want to build next generation web and mobile interfaces in a timely and cost-effective way. Because of budgetary restrictions, onshore staff augmentation services are not always an ideal solution, in those cases, the best advice is to look for a nearshoring service that offers angular team augmentation. If you are interested in hiring a nearshore development company, an excellent place to start your search is in Costa Rica, where top-rated companies such as Softon ITG have helped create some of the most innovative web and mobile interfaces in recent years.